In this edition there is information about the Horley Carnival, Town Guide, Cafe, CIL Local Fund, Uber parking issues, an apprentice vacancy and news of forthcoming events (pic:Meath Green Infant School - Best Dressed Parade Entry 2016). Horley Town Council has been awarded a prestigious award as part of the Local Council Awards Scheme. This achievement of Quality Status recognises that the Council achieves good practice in governance, community engagement, information technology and council improvement. Moreover, it shows that Horley Town Council goes above and beyond its legal obligations, leading its communities and continuously seeking opportunities to improve and develop even further. The Awards Scheme report highlighted the Council's particular areas of strength including its services and engagement with its residents. The latest edition of the Official Town Guide for 2017 has been thoroughly revised by the Town Council in conjunction with Local Authority Publishing. The guide has always proved popular with tourists, local residents and businesses alike. The guide was delivered to all households in the Horley area by Royal Mail earlier in January. Copies are also available from the Town Council offices in Albert Road and from the Library. Further information on advertising in future guides is available from the Town Council. 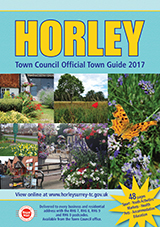 Please follow this link to view the interactive Horley Town Guide. Horley Carnival is back again! The date for your 2017 diary is Saturday 17th June 2017, same timings: 12-5pm, in the A23 Horley Recreation Ground! This year's theme is "Wonders of the Sea". We attach a short questionnaire which will enable you to register your interest for 2017. An early response will help us plan your participation to ensure the event is even better than last year. At this stage, we’re looking for expressions of interest; once we have this information, we’ll send out full details on each aspect. Please email horleycarnival@gmail.com for more information or click here. 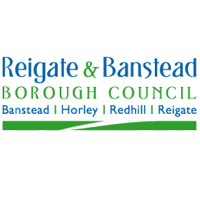 “Since Uber have leased 60 contract parking bays within the High Street car park, they have employed two security attendants to supervise the car park and this is being monitored by Reigate & Banstead BC together with Uber to ensure that regular contact and feedback is being provided. Uber are working hard to send messages to their drivers through an automated system and regular communication by the security attendants has indicated that this is having an effect. Uber has also installed two extra toilets within the car park which are being used without any issues or concerns. Uber are maintaining the Portaloos and have a service contract which includes disinfecting the site. This is being closely monitored and appears to be effective. Both Horley and Reigate & Banstead Councillors check the area daily with any concerns reported directly to RBBC's Enforcement Officers. A proportion of the money received though the Community Infrastructure Levy will be made available to spend on smaller local projects in the neighbourhoods where development has been built. This is known as the Reigate & Banstead Local Improvements Fund. The Local Improvements Fund can be spent in a variety of ways, for example improving the nearby community hall, providing new playground equipment at a local green space, upgrading walking and cycling routes to local schools, or enhancing local shopping parades. In Horley, and in Salfords & Sidlow, where there is an existing Parish or Town Council the Local Improvements Fund will be passed to them to spend. In the rest of the Borough, the money will be retained by the Borough Council who will consult with local residents and ward Councillors to identify and select appropriate projects. The amount of money available through the Local Improvements Fund in each area will vary, depending upon how much new development is being built. The latest statistics will continue to be available from our website. The Civil Aviation Authority will make its final decision on Route 4 in late February or March. Just to say a big "Thank You" to those that met up at Tanyard Pond on Sunday December 11th 2016. This was the last task date for the group in 2016 and we cleared patches of scrub in front of one of the benches to open up the view, created another invertebrate shelter using re-cycled natural materials and re-coppiced the willow stools by the pond. 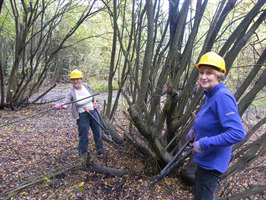 Stop Press: Further tasks have since taken place at Langshott Woods and at Riverside Garden Park (rhododendron cutting and burning) and the Group's AGM is due to be held at Trinity Oaks Primary School on Mon 6 March, starting at 6 pm. Working for a Town Council is like running your own business! Ping Pong in our Parks – Do you want to play? The project was originally conceived and funded by the Horley & District Pubwatch Scheme, with additional help from Sport England, the Gatwick Airport Community Trust and local County Councillors. There are two concrete table tennis tables which are sited at the Horley Recreation Ground, and at Court Lodge Fields. We need to carry out quite significant repairs to the table at Court Lodge Fields and we are keen to find out whether there is any local demand to keep the table. Please let us know if you are still keen to play table tennis at Court Lodge!